If kids begin playing baseball at an early age, they can enjoy many great personal and social benefits that will help them grow into successful and well-functioning adults. So, it’s important to maintain your local baseball field so that the local kids can continue to reap its many benefits for years to come. With obesity being a major issue in this country, it’s important that you do whatever you can to keep your kids’ weight under control. And by playing baseball at an early age, your kids can effectively fight the war on weight. Physical development is not the only factor your kids should focus on during their formative years. They should also focus on developing their social abilities, and being a team-based activity, baseball will greatly bolster your children’s social skills. A healthy self-esteem is crucial for a healthy childhood development. 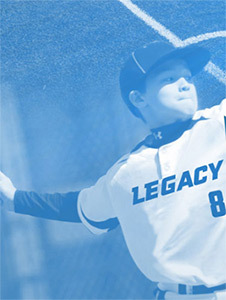 And with its focus on skill-building and competition, baseball is a great way to build your child’s self-esteem. Without discipline, a child could develop some unsavory habits that could follow him or her well into adulthood. If you want your child to develop a good sense of discipline, you can’t go wrong by enrolling him or her in a youth baseball team. Life is full of teamwork-based situations: school work, employment, planing events. To be sure your children are able to handle all of the teamwork that life will throw at them, sign them up for baseball so they can enjoy its teamwork development benefits. If you are looking for an Irrigation Company in the Howell area, please call Rainmaker Irrigation at 734-564-1373 or fill out our online request form.